Tis the season for sleighs to fly across the sky, too many many mince pies to be eaten and copious amounts of mulled wine to be drunk. ‘Tis also the season for buying Christmas presents and that’s sometimes the tricky part. What do you get people who having everything? How do you get ideas? 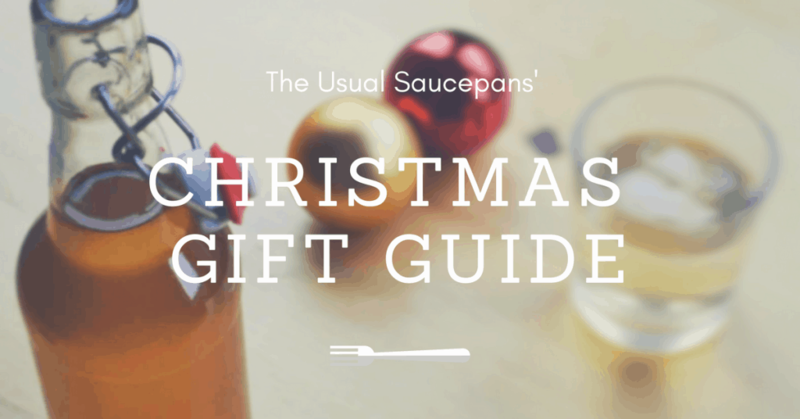 What do you do to avoid another pair of socks… And that’s where The Usual Saucepans Christmas gift guide comes in. Thinking of getting Amazon Prime this Christmas? Get a 30 day free trial. There are always foodie people in your life you are wondering what to get. You want to get them something for their kitchen, something that they’ll love using – not one that gets a big pretend smile then relegated to the back of the cupboard. It can be hard to buy something if you’re not sure quite what they might like or find useful, so I thought I would try and help. This Santa’s list of culinary delight is made of things I couldn’t live without in my kitchen and lots of things that are well and truly on my wish list. Still struggling? Drop me a message and ask, always willing to try help. Nigel Slater – The Christmas Chronicles – Slater is one of my personal favourites and often is one of our most loved cookery writers. Who could resist his take on the winter months? 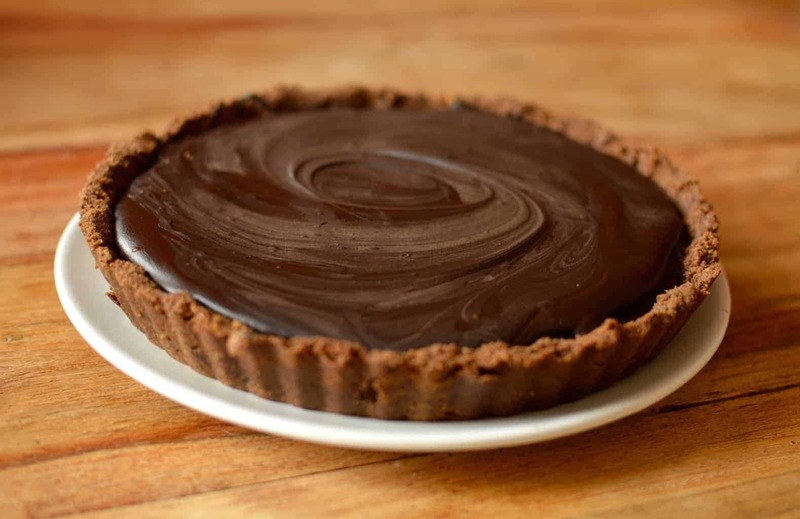 Tasty Latest and Greatest – got a big fan of Buzzfeed’s foodie outlet in your life? This book is what they’ll be after, it’ll be a great stocking filler. Rick Stein – Road to Mexico – know someone that’s been watching Rick’s latest adventure? Then this is for them – it’s utterly irresistible, just like his show. Nigella Lawson – At My Table – how could we not include Nigella? It’s one of her best shows in years and feels like she’s making things you’ll actually try at home. Food 52 – Genius Recipes – I cannot recommend this book enough – it is full of twists on recipes that will make you change the way you think about cooking. I use my copy all the time. Niki Segnit – The Flavour Thesaurus – another kitchen bible to always have on hand – this mini encyclopaedia of flavour combinations offers almost fool-proof confidence in mixing flavours. One of my most useful kitchen gadgets – an adjustable rolling pin – it makes find the right thickness of pastry a doddle. Who doesn’t want their kitchen utensils matching? I love these ones and hoping Santa brings me a set this year. No kitchen should be without a stick blender – this is the kind I have in my kitchen and I wouldn’t be without it. Plus it’s a bargain. We can all struggle to get enough fruit and veg in our life – this NutriBullet could be the present you are looking for, but don’t go making assumptions on people’s diets – that’ll get you in trouble! Know someone who doesn’t function until at least their second cup of coffee? An AeroPress is what they need – mine lives constantly by the kettle. These are the sorts of gifts you might not buy yourself, but no food lover is going to turn their nose up at! Baking is amazing and all the rage just now, so if you’ve someone in your life who likes to make icing sugar explosions here are some treats for them. Having digital scales is essential in any baker’s kitchen. And a timer and thermometer also come in handy all the time. Enamel pie dishes are very much in at the moment, and these ones are just a little bit more awesome. I use my casserole dish all the time during the winter and absolutely love it. There are the Le Creuset options, but also some that are a little more budget friendly. We all love a good party game, and these ones, whilst mostly not for playing with your family (believe me…), are all hilarious. It’s true – Cards Against Humanity is a party game for horrible people, but it’s also hilarious. What do you meme? It’s the game that’s pairing memes and captions with hilarious outcomes. Games and puns? Could Punderdome be any more amazing? Need the little grey cells working harder over Christmas? Bananagrams is like Scrabble in a hurry. And there you have it, the 2018 Christmas gift guide! Feel free to add your latest finds and tips in the comments below. Happy shopping!